Although I am should be blissfully happy to have all the Icon everything from the Philippines but it sort of makes me sad because I feel that I may not have an excuse to see my dear friends from there. Both that came, I was only able to spend less than 15 minutes with them but it seems that I’ve known them forever and extreme sadness to see them go. Yes, I have a confession, and I tried NOT to blog about it because I don’t want to feel biased but the most support I’ve receive are my friends from the Philippines. They have paid attention to my every detail and remind me of what I am missing and what not, but more importantly, they DELIVER. Delivery doesn’t just include mugs, but pictures, and information that I don’t really pay attention to. How is this so? You would think I am expert about these mugs but that’s far from the truth. I love the mugs, it makes me happy, but AGAIN, it’s how I came about these mugs that brought me excitement and true happiness. Maybe mugs are really the moderator for beautiful friendships. Who else would carry these mugs from half way around the world and bring them to me. It isn’t just ONE mug but at least 5 or 6 at a time. My Facebook page is an open book to the whole world so anyone can visit, like and enjoy the information, stories, posts, pictures that I’ve fortunately have the permission to use on my Facebook page. However, it goes beyond that because many wants to meet other reliable collectors to trade. I am not able to manage that part of the process so I have wonderful support from my wonderful tumblerista brother Dan. Dan reached out to me and we both connected immediately. What is most important is the trust that we have and the system we’ve established through our mutual passion and respect for one another. 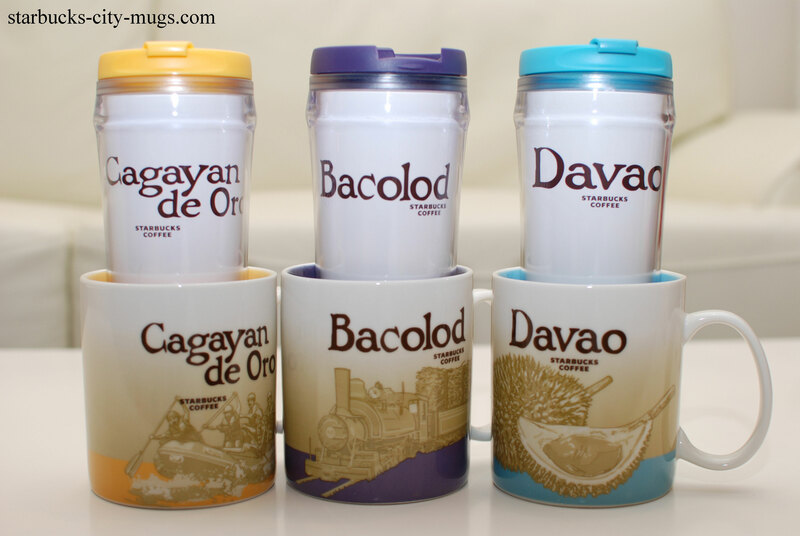 On behalf of collectors that came to my Facebook page and who now have a rapid Starbucks mugs collection, I am grateful for all my friends from the Philippines that made it possible. I am looking forward one day to visit Philippines so I can finally see where you live, where you go and your beautiful faces and smiles… once more. This is really touching, Hong. Irma, it’s very powerful for someone to come half way around the world to give you mugs..I can’t explain it! Now Brian and Oth will live with me FOREVER! It’s so wonderful to see that people appreciate what collectors do for us, and in return, we do the same for them! Distance does make the heart grow fonder! Hi, unfortunately, you have to buy them at the store at the city they are in. Tumblers are much harder to to find than mugs, it’s a hit or miss but the Icons have been discontinued so maybe Ebay might have them.